It's Monday morning and (if you're lucky) most of you will be reading this at work. 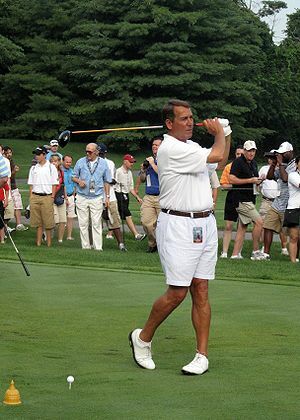 So spare a thought for hard working Republican House Speaker John Boehner, who'll be playing a round of strenuous golf at Newport Beach in California today in the company of some of the richest people in America. As Wall Street is under siege from a growing international protest that's condemning corporate influence on our elections, apparently tone deaf Boehner is cozying up the richest 1% they blame for our woes. And, just to make matters even more galling, all the while Boehner's ignoring the growing demand to hold a vote on the American Jobs Act. I suppose we shouldn't be surprised by his lack of urgency because in the midst of the most biting recession in living memory it's clear the GOP has no jobs plan; it has a re-election plan, that is all. That's why Boehner can't see anything Marie Antionetteish about a round of golf in an exclusive club in sunny California at a time when so many Americans are struggling just to keep a roof over their heads. It's why the GOP let the clock run out on the deficit negotiations, leading to a historic downgrading of the nations credit rating: in their desire to run out the clock on Obama, they have forgotten what the recession is doing to Main Street. That's why Boehner can work on his tan as more and more Americans despair of ever finding work. Boener's golfing with the 1% who will bankroll his party, rather than face the 99% who pay his wages. It demonstrates who has the real pull with him because under his guidance, the GOP won't even allow a vote on the President's plan in the House. It's enough to bring a tear to your eye.